Alexana Winery is owned by cardiologist Dr. Madaiah Revana, who also produces a highly touted Cabernet Sauvignon at his Napa winery, Revana Family Vineyard. 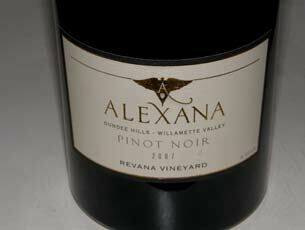 The Alexana Winery is named after Revana’s daughter, Alexandra Revana. After enlisting the winemaking assistance of accomplished veteran Lynn Penner-Ash, Revana acquired an 80-acre property in the Dundee Hills that was planted between 2003 and 2007 to 13 acres of Pinot Noir and Pinot Gris. 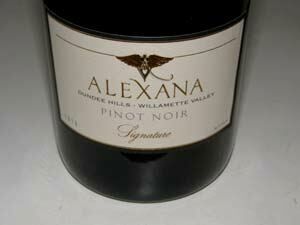 38 additional acres of Pinot Noir were planted to several clones. Currently, there are 56 acres planted to Pinot Noir, Riesling, Pinot Gris and Chardonnay. 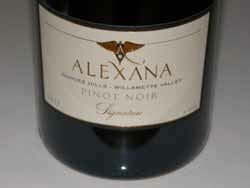 The first two estate wines, a Pinot Noir and a Pinot Gris, were released from the 2006 vintage. 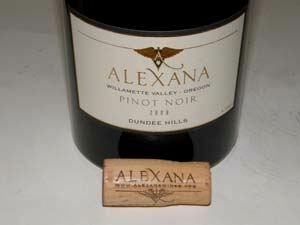 In 2012, two estate Pinot Noirs were offered including an Estate bottling and Signature, a reserve bottling as well as very limited wine club offerings. Total production is 6,000 cases annually. Managing winemaker is Bryan Weil. Vineyard manager is Evan Bellingar. A new modern tasting room opened in October 2011 at 12001 Northeast Worden Hill Rd in Dundee. The three-story house is LEED-certified Gold. A state-of-the-art winery facility is set to open next door for harvest 2012. The winery produces 5,000 cases annually with a projected production of 8,000 cases.